Critics have often blamed President Rouhani of Iran for blindly following the neoclassical-neoliberal model of capitalism. The critical problem with Mr. Rouhani’s economic policies, however, is more than just following the dominant economic model of neoliberalism; more gravely, it is following the worst aspects of that model. 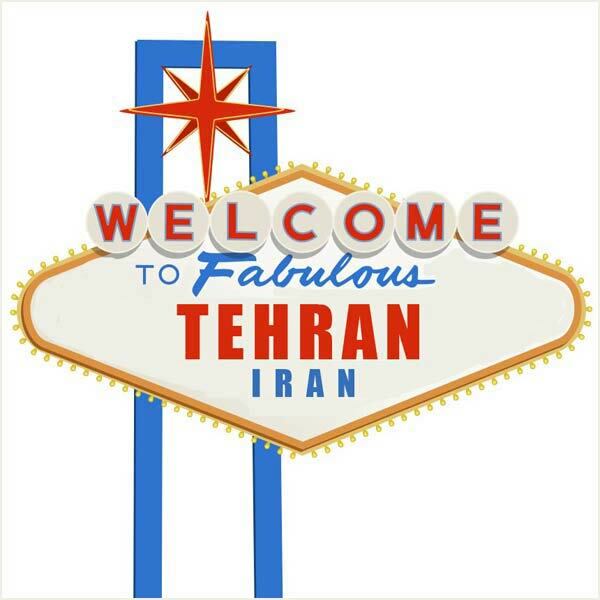 One such disturbing aspect is the unregulated and out-of-control financialization of Iran’s economy: the banking/financial sector is given a free rein to engage in all kinds of parasitic, speculative activities. As this practice has robbed the manufacturing sector of the economy of the productively-investible finance capital, it has thereby led to a severe economic stagnation and high rates of unemployment. It is now common knowledge that the 2008 financial crisis in the U.S., which has since spread to other parts of the capitalist world, was precipitated largely by a disproportionately high degree of financialization, that is, by an unsustainable financial bubble on top of a much narrower base of real values. It is equally well-known that systematic deregulation of the financial sector in the U.S., especially of the dismantlement of the Glass-Steagall Act (in 1998), which had fairly well regulated the financial sector in the aftermath of the Great Depression, was a major contributing factor to the creation of the financial bubble that burst in 2008. Regrettably, President Rouhani and his economic team seem to be altogether oblivious to the bitter experiences of the financialization disaster in the U.S. and other core capitalist countries around the world. This blatant inattention to the devastating consequences of a bloated financial sector at the expense of a cash-strapped real sector, combined with a trade policy which has effectively replaced domestic products with foreign products through a policy of unhindered importation of foreign goods and services, has greatly contributed to Iran’s economic stagnation. While the real/manufacturing sector of the country’s economy is in dire need of investment funds, its financial sector enjoys an abundance of liquidity that, according to Iran’s Central Bank, amounts to nearly 900,000 billion tumans, or almost $260 billion dollars ($1 = 3500 toomans), which is approximately equal to 65% of its 2015 GDP of barely $400 billion . Unfortunately, the major bulk of this plethora of liquidity is used for speculation purposes instead of lending to manufacturers for productive investment. The fact that the financial sector prefers the more lucrative speculation to real production is not surprising-it is simply in the nature of a profit-driven economic system. What is surprising is a total lack of an economic policy that would channel the nation’s financial resource away from speculation to production. The abundance of domestic liquidity belies President Rouhani’s frequent pleading with foreign investors on the grounds that Iran’s economy is suffering from illiquidity, and that foreign direct investment could serve as a panacea to Iran’s ailing economy. It also shows why foreign investors tend to be skeptical of the president’s pleas, and continue to be reluctant to invest in Iran’s manufacturing sector. After all, why would foreign manufacturers invest in a country where its market is saturated by unhindered imports of foreign products, and its own manufacturers are thereby driven out of market? The persistent economic stagnation in Iran is largely due to a dire lack of an effective macroeconomic policy. Lack of economic policy is, in turn, mostly due to President Rouhani’s and his economic advisors’ blind faith in an economic model that is unfeasible in the real world; a model that, while simple and even elegant, is dangerously misleading. It is misleading because it maintains that if the government abstains from making macroeconomic policies and leaves all economic matters to microeconomic activities of private individuals and businesses, the invisible hand of the market mechanism would in a magical fashion lead to efficiency, development and prosperity. According to this doctrine, called supply-side or neoliberal economics, solutions to economic stagnation, poverty and under-development lie in unhindered market mechanism and unreserved integration into world capitalist system. Recessions, joblessness and economic hardship in many less-developed countries are not so much due to economic mismanagement or the nature of global capitalism as they are because of government intervention and/or exclusion from world capitalist markets . Unimpeded importation of foreign products into Iran’s open-door market, unregulated and out-of-control financialization of its markets, and devastating stagnation of its economy are mainly due this misguided economic doctrine. It is now widely acknowledged that the disproportionate growth of the financial sector has been a major contributing factor to the ongoing financial turbulence and economic stagnation in many core capitalist countries. What is relatively less known outside of Iran is that the parasitic growth of the financial sector in that country is among the highest in the world: per capital number of banks, shadow banks and other financial institutions (called moasesaat-e atebaari) is certainly the highest in the world. Parasitic activities of the financial players include speculation in foreign exchange or foreign currency market, in gold and other precious metals market, in all kinds of imports (both legal and illegal), in real estate, and the like . Returns to speculative activities in the financial sector are so high that a number of major manufacturing corporations such as Iran Khodrow (the country’s largest auto manufacturer) have established their own banks in order to partake in the lucrative financial sector by diverting funds from their manufacturing operations to this sector. Likewise, many civil, military, and governmental organizations (such as municipalities), as well as pension funds and charity foundations (such as Bonyad-e Mostazafan) have also created their own banks in pursuit of a share in the lucrative financial sector. The perils of the commercial banks’ and other financial institutions’ speculative activities are dangerously magnified by their ability to create money! Following the Anglo-Saxon model of fractional reserve banking (explained below), which is today practiced in most capitalist countries, the power of money creation in Iran rests not so much with the government as it does with commercial banks. When commercial banks make loans or extend credit to their clients they, in effect, create money, which is called debt/credit money, or bank money, as opposed to sovereign or real money created by the government. Although in essence bank money is not real money, in practice it functions just as real money. The ability of the commercial banking system to create money explains why the all-important power of controlling or manipulating money supply, of financing and, therefore, of influencing or controlling national economies in most capitalist countries has increasingly come to rest with commercial banks, often mediated by central banks and treasury departments that are frequently headed by the proxies of the financial oligarchy. In theory, the ability of the banking system to create credit or debt money is determined or limited by two factors: (a) the savings/deposits by households and businesses, and (b) the central bank policy that determine reserve requirements and the money supply-the so-called fractional reserve banking. Fractional reserve banking means that, for the sake of financial safety and stability, commercial banks ought to always keep a legally-determined fraction of their deposits (for example, 20%) on hand, either in their own coffers or in their accounts with the central bank. This fraction of bank deposits is called required reserves, or capital requirement/base. Only the rest (80% in our example), which is called excess reserves, can be loaned out. In practice, however, the ability of the banking system to create credit, or bank money, is not much constrained by the amount of savings/deposits they receive or by central bank regulation of money supply through fractional reserve banking. Fractional reserve banking implies that, based on the amount of their loanable deposits, or excess reserves, as determined by reserve requirements, the commercial banks first determine their lending capacity and then go around for customers. In the real world, however, they often behave the other way around: they first extend credit and look for reserves later. In one way or another, central banks would accommodate them. This explains why the actual bank reserves, or capital requirement, are often much smaller than required reserves, especially during optimistic periods of asset price inflation, or expanding financial bubbles. What has made the ability of the commercial banking system to create money-of course, debt money-especially more dangerous in recent years is that, as the financial sector has systematically freed itself from traditional rules and regulations, most of the debt money they now create is increasingly geared towards speculation, not production. This explains the exponential growth of parasitic finance in most capitalist countries. As noted, parasitic growth of the financial sector in Iran represents an extreme case of this ominous development-a developments that has made the country’s economy/market akin to a nationwide casino, more or less. It follows from this brief discussion that the inordinate financialization of Iran’s economy is largely due to two major factors: (1) the ability and/or freedom of commercial banks and other financial institutions to create money, and (2) their ability and/or freedom to engage in non-banking activities, including speculation in commodities market, especially in precious metals, in foreign currency market, in real estate market, in imports market, and the like. 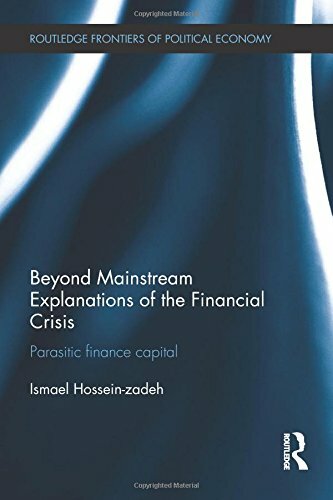 Policy implications of this diagnosis are unmistakable: to cleanse Iran’s economy of the poisonous effects of parasitic finance requires (1) ending the commercial banks’ and other financial institutions’ ability to engage in non-banking activities, and (2) ending their ability to create money. Aside from destabilizing and destructive economic effects, private banks’ ability to create money is also problematic on legal and/or constitutional grounds. As a most, or perhaps the most, important economic decision or policy of any nation, money creation is logically a sovereign prerogative or national right; it belongs to the public, not private, domain. The right of creating money ought to exclusively be granted to the publicly-owned central bank as the monetary authority of the state. This would replace sovereign money system for the currently corrupt bank or debt money system based on fractional reserve banking. It must be pointed out that the formal or nominal ownership of a central bank by the state does not necessarily or automatically replace the sovereign money system for debt/bank money system. Currently a number of central banks, including Iran’s Central Bank, are formally owned by the state, but their ability to control national money supply is undermined by the prevalence of the fractional reserve banking. This means that the ability of a publicly-owned central bank to control the stock of national money requires effective curtailment of the power of commercial banks to create money. “The 100 percent reserve plan . . . would end the debt-money. . . . Government money [legal tender money] . . . is “Good Money” because it can be spent into circulation interest and debt free, and ever after perform the useful functions of money for the minor cost of replacing worn out bills and coins. . . . Money produced by commercial banks is “Bad Money” because it must be lent into circulation at interest, and it only remains in existence so long as someone is willing to pay interest and the banks are willing to continue to lend” . Under sovereign money system, additions to the stock of money supply, or creation of new money, will be issued by the central bank and transferred to the treasury. The treasury will then spend, not lend, the new money into circulation. This will represent genuine seigniorage, which is akin to the historical prerogative of coinage, free of interest and redemption, and thus debt-free. (The central bank may occasionally and for the smaller part lend some of the new money to commercial banks, if required. This creates interest-borne seigniorage.) The profit from seigniorage, or the issuance of new money, will no longer go to the pockets of the privately-owned central banks, or the commercial banking system. Instead, it will go to the public purse and benefit taxpayers. How should the central bank decide on and keep control of the right or optimal quantity of money in circulation so that there would be neither too much nor too little of it? The answer is that the stock of money in circulations should be based on the volume of national output, or gross national product (GNP), or its money equivalent gross national income (GNI). Specifically, the quantity of money in circulation (M) would be determined by this simple equation: MV = GNI, where V is the velocity of money circulation, or the number of times that, on the average, a dollar changes hands during a fiscal year. For example, if GNI is equal to $100 billion, and V is equal to one, then M also needs to be $100 billion in order to be sufficient to circulate the $100 billion worth of goods and services. But if V is equal to five, then the amount of M needed to circulate the $100 billion of GNI would be only $20 billion. And if V is 10, then the required M would be only $10 billion-and so on. Based on this simple equation, injections of new money into circulation (or, more generally, changes in M one way or the other) would also be determined by changes in GNI and in V. If, for instance, GNI goes up by five percent and V remains constant, then M needs to go up by five percent as well. But if at the same time that GNI goes up by five percent, V also goes up by five percent, then M should remain constant-and so on. By creating the money they need interest-free, instead of borrowing it from commercial banks and other private financial entities interest-borne, governments can strengthen their budgets and save taxpayers huge sums of money. For example, evidence shows that the U.S. federal government paid in 2011 a sum of $454 billion in interest on its debt-the third highest budget item after the military and Social Security outlays. This figure amounted to nearly one-third of the total personal income taxes ($1, 100 billion) collected that year. This means that if the federal government created the money it needed, instead of borrowing it at interest, personal income taxes could have been cut by a third . Alternatively, the savings could be invested in social infrastructure, both human and physical, thereby drastically augmenting the productive capacity of the nation, creating millions of jobs and elevating the standard of living for all. In brief, there is no shortage of finance capital in Iran. The problem is that it is used largely for speculation, not production, purposes. To divert its financial resources from speculation to production, Iran needs to (a) prevent the commercial banks from engaging in non-banking activities; (b) prevent the commercial banking system from creating debt money, based on fractional reserve system; (c) confer the prerogative of creating real, sovereign money solely to the state-owned central bank; and (d) mandate that the real, tender money thus created is spent into the economy/circulation through its outlays on social, developmental, infrastructural, and other vital national projects. Only through such a drastic overhaul of money and banking policies, along with a vigorous support for its manufacturers through an effective policy of import-substitution, can Iran rekindle its dormant economy and chart a new path of industrialization, development and real independence. For a fairly detailed discussion of this point please see: “Why President Rouhani’s ‘Economic Package’ is Empty”. William F. Hixson, A Matter of Interest: Reexamining Money, Debt, and Real Economic Growth, New York: Praeger, 1991, p. 242. John Hotson, “Ending the Debt Money System”, Challenge, March-April 1985, pp. 48-50. Ellen Brown, It’s the Interest, Stupid! Why Bankers Rule the World. 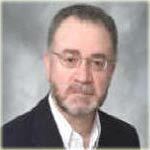 Ismael Hossein-zadeh is Professor Emeritus of Economics (Drake University). He is the author of Beyond Mainstream Explanations of the Financial Crisis (Routledge 2014), The Political Economy of U.S. Militarism (Palgrave-Macmillan 2007), and the Soviet Non-capitalist Development: The Case of Nasser’s Egypt (Praeger Publishers 1989).